Get your Happy on with AFRORETRO & friends! Ethical Fashion Market, Creative Fashion Workshops, Free Clothes Swapping Party and more for Fashion Revolution at Pop Brixton! Join us and over 17 Independent Ethical Fashion Brands for the Happy Fashion Market at Pop Brixton. We'll be curating a electric mix of fashion, accessories and jewellery all from the freshest and happiest talent across London and the globe! Scroll down for more info on our fabulous designers! The Green house will transform into a hub of creativity with a series of fashion based workshops throughout the day. Join I Make Knots, Nicole Line, AfroRetro, TRAID & Fee Uhssi Ethical Luxury as they share their creative workshops, bring you upcycling, screen printing, fabric finger knitting and the art of wrapping. Scroll down for more info & to book! We'll be hosting a FREE Clothes Swap Party! So bring those items from the back of your wardrobe clean and in good condition and swap it for something fresh and free just in time for the Summer! Scroll down for more info & to book your free ticket! Established in 2015 FOMO was inspired by a love of travelling, wanderlust and the desire to create a cool piece of clothing to explore that new city in, for hiking in the mountains or chilling by the beach. All FOMO products are made in Sweatshop Free factories, the fabrics are printed here in the UK and manufactured right here in London. The ultimate wear anytime, anywhere addition to an active summer wardrobe, each piece is built to last, to respect the environment and is crafted in London using high grade fabric. 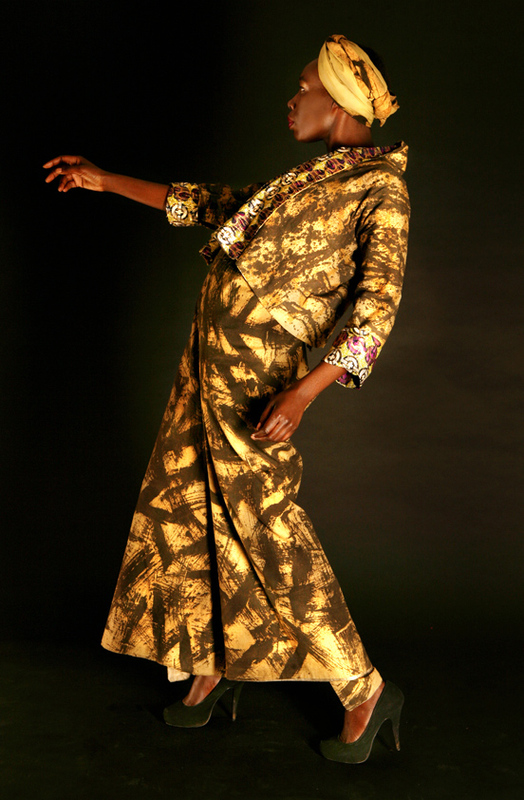 Gitas Portal is a London based design company specialising in ready to wear apparel and accessories. Known for our clever use of colourful prints, we create pieces that transition well from casual day wear to event wear. Our affordable designs are a favourite with women from all works of life. Gitas Portal have a clear oversight of the workers that produce their designs and the conditions under which they work, monitoring compliance with UK standards and paying a fair wage. creating clothes here in the UK that can be enjoyed all over. Exploring the relationship among culture, textiles and identity, Totem Taboo creates political visual art & design to empower individuals and community development. This fashion and lifestyle conceptual brand wraps bodies, homes and minds honouring biodiversity. It dresses free spirits allying north with south and east with west to make a social impact through symbolic wearable art & design. With an ethos of no sweatshops and no photoshop, Birdsong aims to make the fashion industry fairer for women. All their clothes are hand made by women's charities and community groups in the UK and beyond, from elderly knitters to migrant seamstresses. They always use diverse models and never, ever digitally alter their appearance. They don't think women's bodies need changing. Birdsong wants to clothe your body, beautiful as it is. Jewellery, Millinery & Accessories. Creating Afro Chic one of a kind items for fashion conscious women looking for exclusive, vibrant and edgy statement pieces that reflect their individuality and allow them to express it every day. Clotho London does fashion the ethical, eco friendly and fun way: an online store selling quality vintage and upcycled clothing, also offering customers a recycling service for their unwanted clothes. Fée Uhssi sources materials and produces her designs through her charity named Bolono Mali an organisation founded by her mother artist Kati Ertel and herself aiming to preserve traditional textiles and handmade fashion and supports local artists via producing textiles naturally handmade following traditional techniques of Bogolan (mudcloth). Based on her concept of Art of WrappingTM where a garment can be worn in many different ways, her Wrap Me Up collection offers pieces designed with clever reversible, convertible systems to create many different style options, produced with no waist policy and in collaboration with ethical sewing studios. Roshaani is a brand that sells one of a kind handmade jewellery, designed and made by Roshi Rouzbehani. 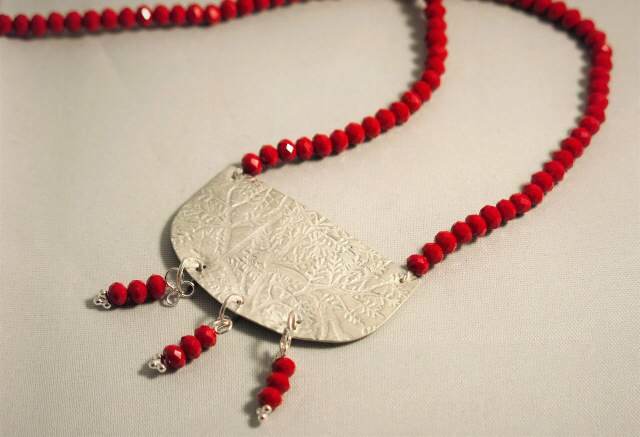 She mostly uses silver and resin and reuses vintage and found objects as well to complete her pieces. Part of Roshaani profit goes to a charity in Iran supporting cancer patients. We'll be bringing our unique Upcycled and Uganglish inspired Creations. We Upcycle unloved items back into statement pieces breathing life into clothing destined for the landfill. We work with factories and small co-operatives in London that pay over the living wage. We produce small runs and high quality pieces that will stand the test of time. Created by Miss Charlie Lamb - an ethical and bespoke british fashion + home brand. It all began in 2004 after graduation, first a fashion collection, then one more, then a few more, then creation26 was born. Creation 26 is on a mission to create a sustainable lifestyle brand and to raise awareness about recycling, slow fashion, re-using used materials and thus to reduce landfill. Her current collection sources ethical t-shirts and tote bags printed with her unique designs. A exclusive range with striking colour that appeals to all. ‘Aṣọ’ means ‘cloth’ in the Yoruba language (south-western Nigeria). Aṣọ is a metaphor for all people of African descent around the world: something built from common fibres, adaptable, woven into many forms, but without loss of its original essence. Equality and social justice are important to Aṣọ personally and as a business. All their suppliers pay a living wage and are sweat shop free. "by adopting and ethical approach, we can make contribution to improving the lives of others. We may only be a tiny player, but every contribution counts." More designers coming soon watch this space! Ever wanted to upgrade your wardrobe but lacked the skills or the courage to take on a sewing machine? 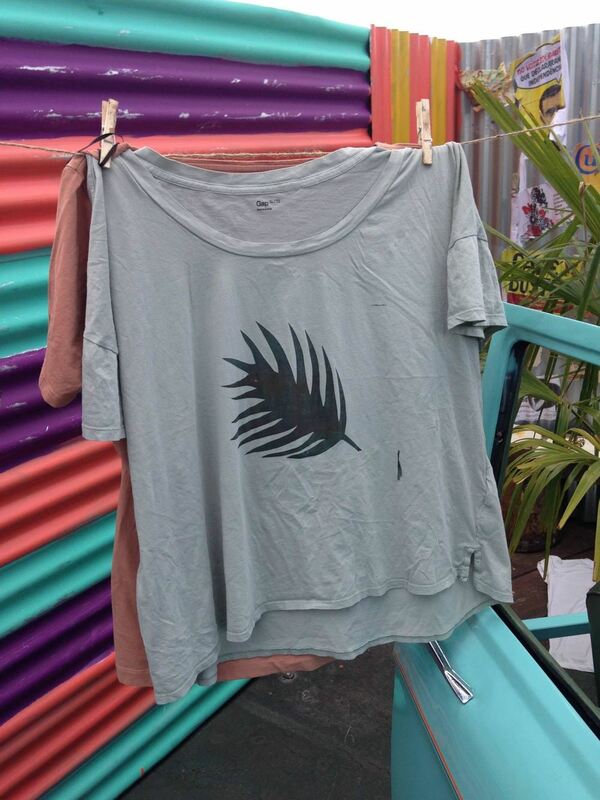 Well look no further because Nicole Line is in the Pop Brixton House and with her handy Screen printing skills she will help you breathe new life into you wardrobe. Nicole will guide you through the screen printing process from cutting stencils and creating a design to the grand finale printing yourself a new wardrobe. Put your fingers to good use in this handy finger knitting workshop with the IMake Knots team. They will guide you to finger knitting success resulting in your own one of a kind necklace. From knitting novices to grandmasters; all ages are welcome. Join the AfroRetro sisters for an afternoon of UpCycling. 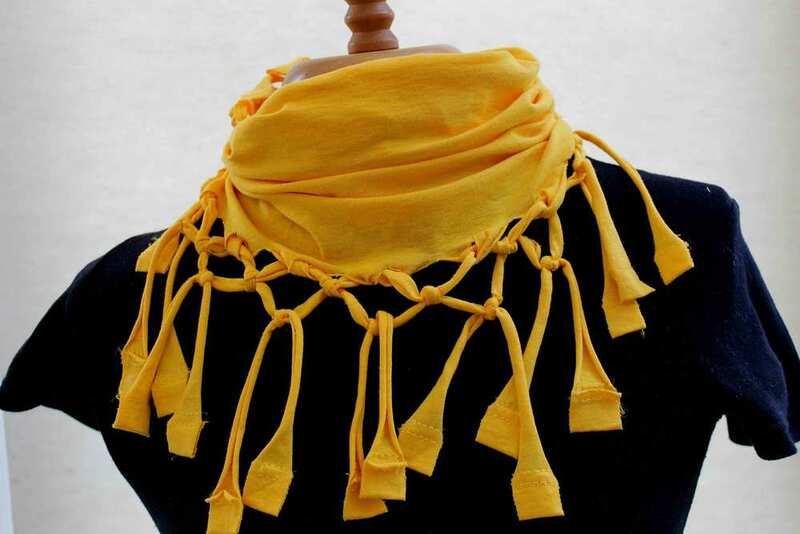 Turn an old unloved tee into a one of a kind fringed circular scarf or statement neckpiece. Using your new skills you will bring your scarf to life with swatches of African Fabrics, sequins, beads and macramé knotting. Not to worry if you are not a keen sewer we will teach you everything you need know! Leave with a one of a kind circular scarf that can also be worn as a statement neck-piece. £10 if you book in advance £15 on the day. All materials provided, however in the spirit of UpCycling please bring a T-Shirt to transform. Come and hangout with Team TRAID as they show you there's more to an old tee then just being a night shirt. 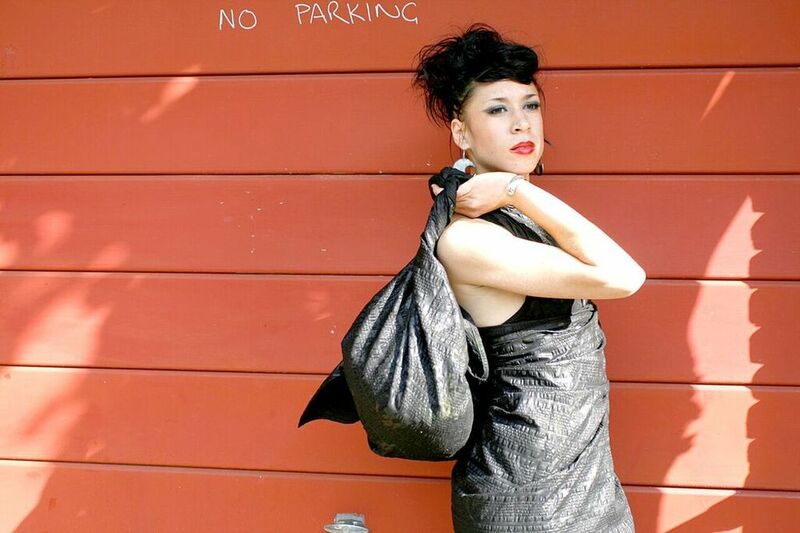 In under 15 minutes you will learn how to UpCycle a t-shirt into a bag without any sewing. Sounds Impossible? Join us and find out! This workshop is suitable for ages although younger visitors will need support. All materials will be provided free of charge by TRAID however in exchange for sharing skills it will be necessary to bring along one or more items of good quality clothing to donate to TRAID. Join Team AFRORETRO & Stylist, Blogger Bunmi Abidogun of Accidental Statement to freshen up your wardrobe for Fashion Revolution Day. 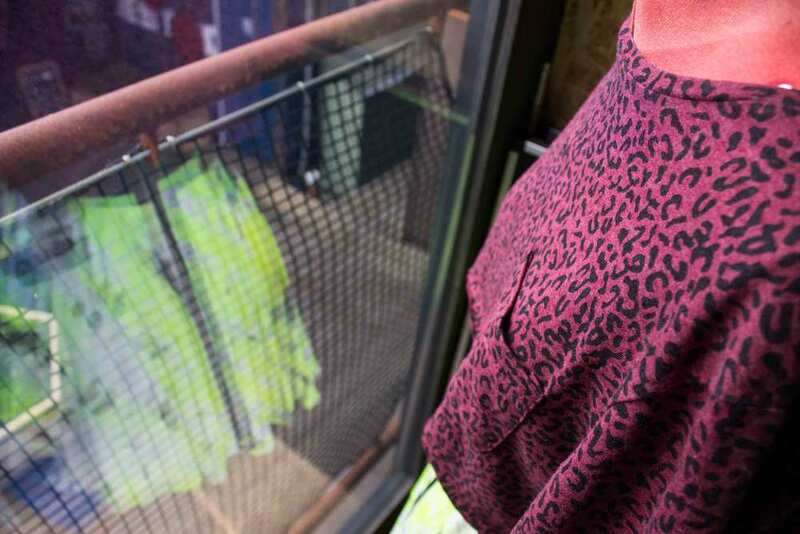 Search the back of your wardrobe for those unloved items of clothing that you never wear and bring them along to POP Brixton to swap them for something new and fresh for 2016! At our FREE Clothes Swap Party bring your clean, ironed and good conditioned clothing that you never wear, swap each piece for a voucher, then browse the rails and exchange your voucher for a new item. We'll have Fashion Industury proffessionals on hand to give you advice, tips and tricks if you fancy trying something new. All clothing welcome, Menswear, Womenswear and Footwear. To apply to trade at Happy Fashion please click here. Check back soon for more details on designers and workshops or just join our mailing list to be the first to hear!